Katharine Hayhoe, director of the university's Climate Science Center, was the keynote speaker. For the first time, Texas Tech University hosted the Texas Regional Alliance for Campus Sustainability (TRACS) Summit March 2-3. Katharine Hayhoe, director of the university's Climate Science Center, was the keynote speaker for this year. The summit helped create a statewide network among higher education institutions to inspire a collaboration of ideas on how to create a sustainable future committed to environmental preservation, economic development and social equity. This year's TRACS Summit took place in the Student Union Building on Texas Tech's campus. Hayhoe is a well-known climatologist who was named by TIME as one of the world's 100 most influential people in 2014. 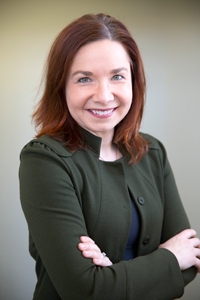 Hayhoe's research focuses on developing and applying high-resolution climate projections to evaluate the future impacts of climate change on human society and the national environment. She has published more than 70 peer-reviewed publications and served as lead author on key reports for the U.S. Global Change Research Program and the National Academy of Sciences. Speakers from Texas Tech University, the University of Texas-Austin, Texas A&M University, the University of North Texas and other top universities spoke about sustainability. For more information on the event, visit the TRACS Summit website.